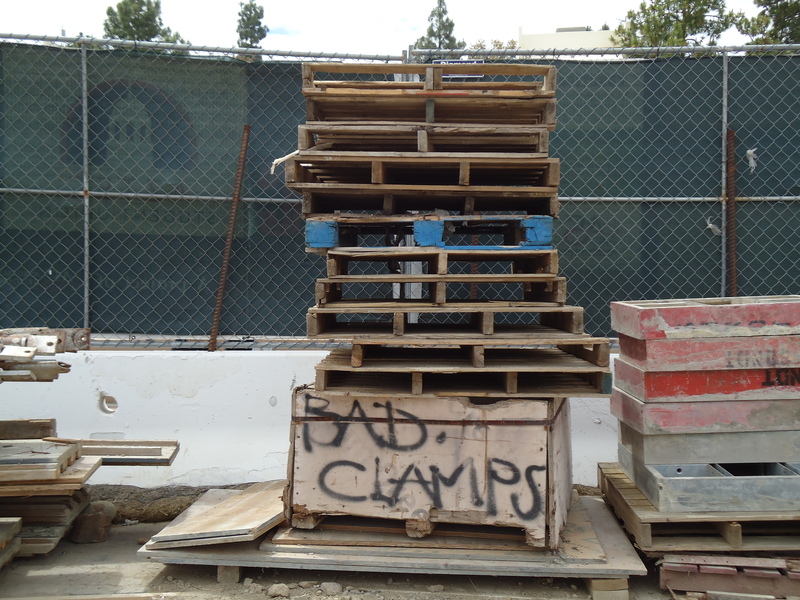 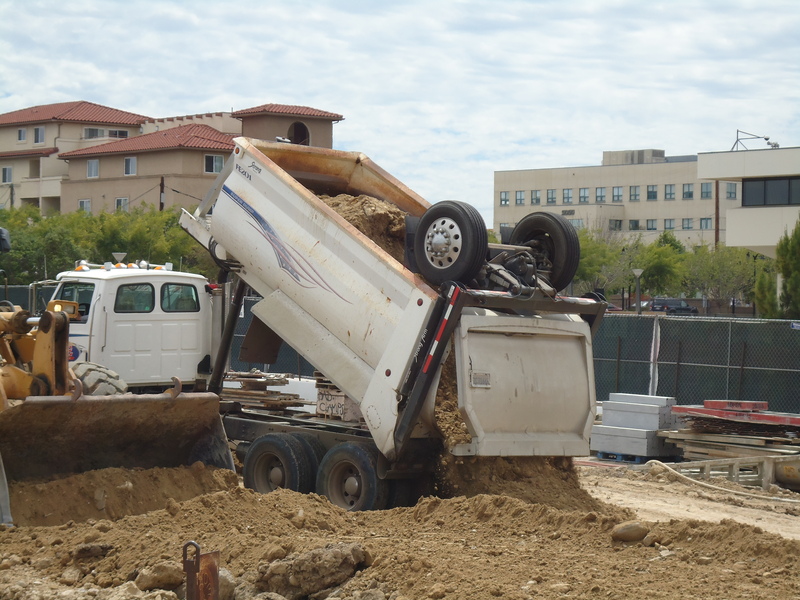 It was a busy week at the Aztec Student Union construction site, even with the rain on Thursday. 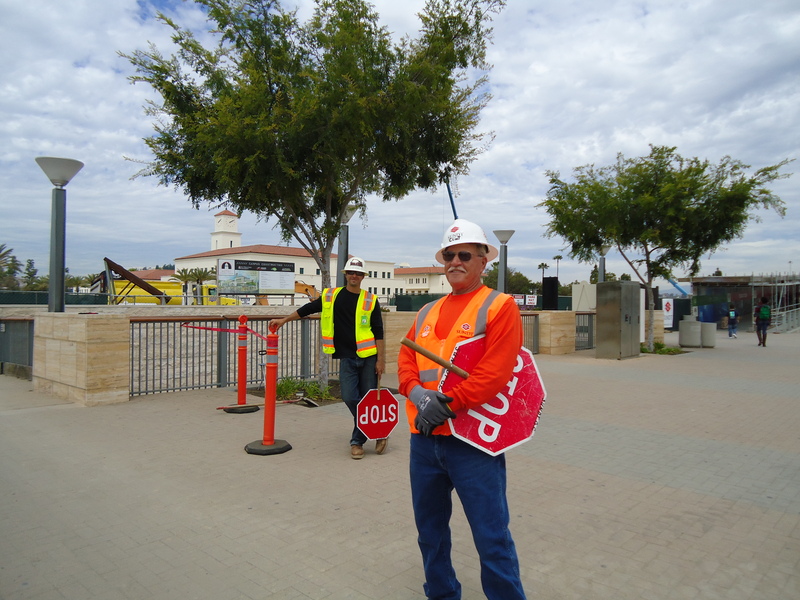 Thankfully, our friendly construction project crossing guards kept an eye out for pedestrians as the trucks unloaded on the site! 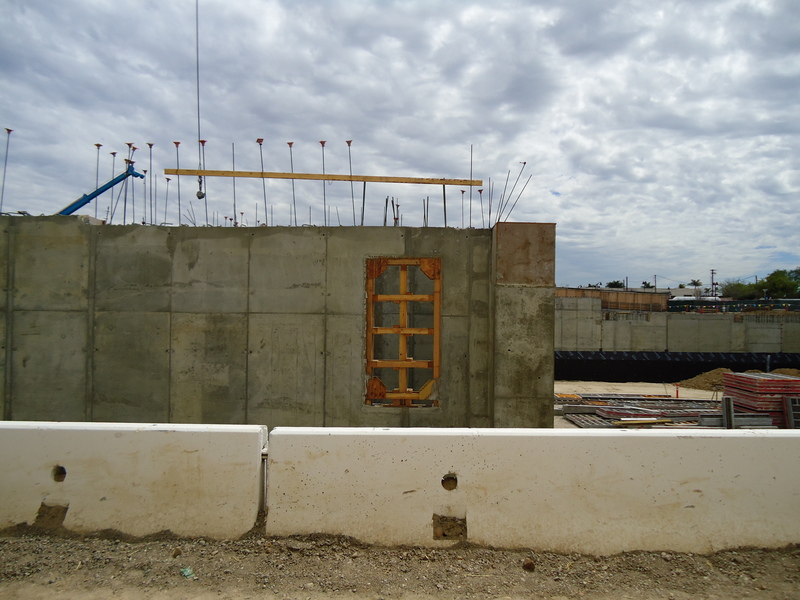 More and more walls are appearing on the site every day, and some even include doorways (it took me a little while to figure out why this wall had a cutout — until I realized it was at ground level)! 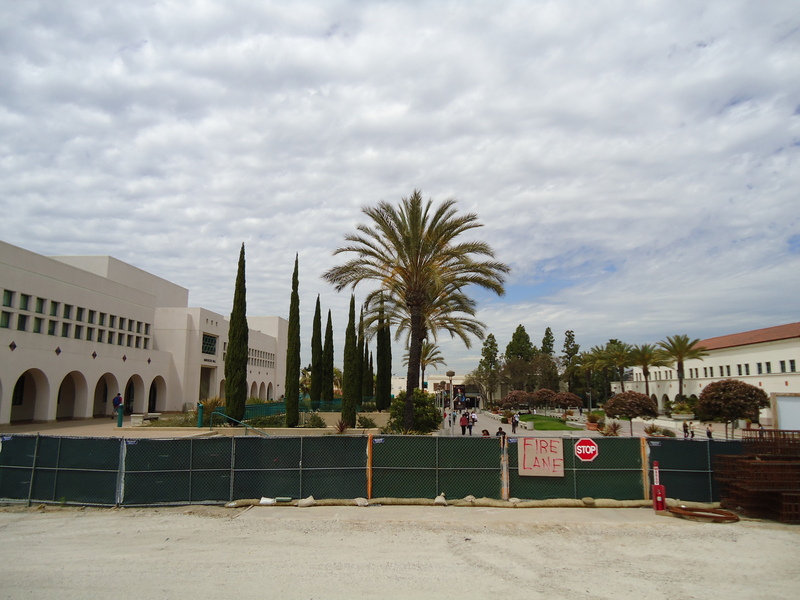 While walking around the site, I realized I was at the site of the former Free Speech Steps of Aztec Center — how the view has changed in just one year!